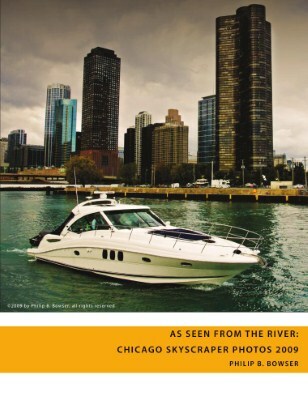 This publication is a portfolio of selected skyscrapers in Chicago, as seen from the vantage point of a boat in the river. Notes describe details such as date constructed, height, name of architect, and interesting facts. For those wishing to purchase a print or the rights to any of the images, contact the photographer at pbowser@me.com.